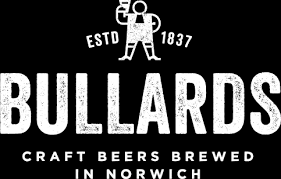 Bullards Norwich Strawberry and Black Pepper Gin is light, fresh and full of flavour. 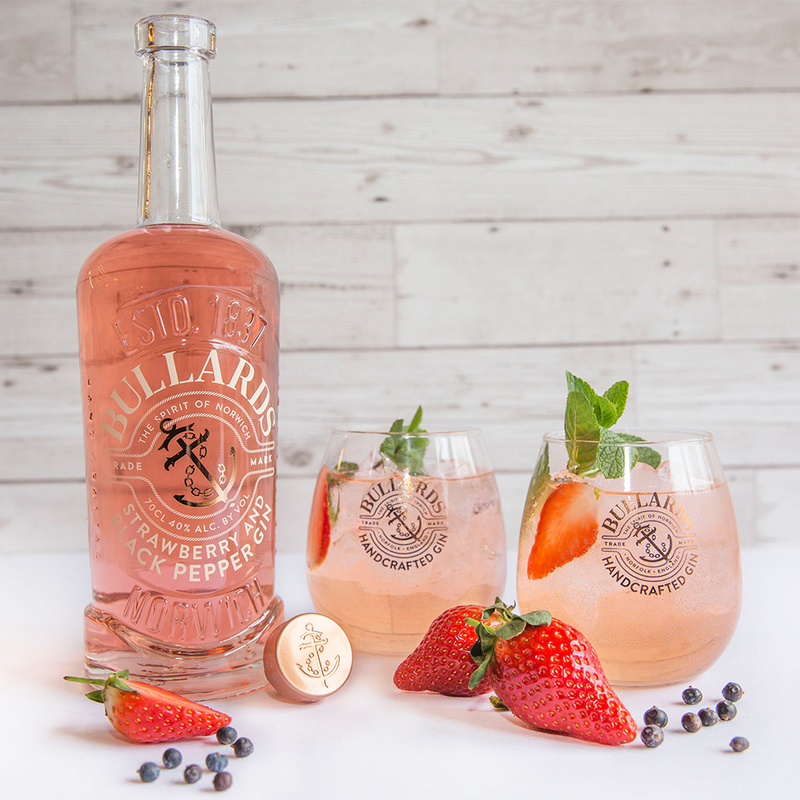 Distilled in the heart of Norwich, fresh strawberries are used both during distillation and infusion with no artificial flavours, colours or sweeteners. 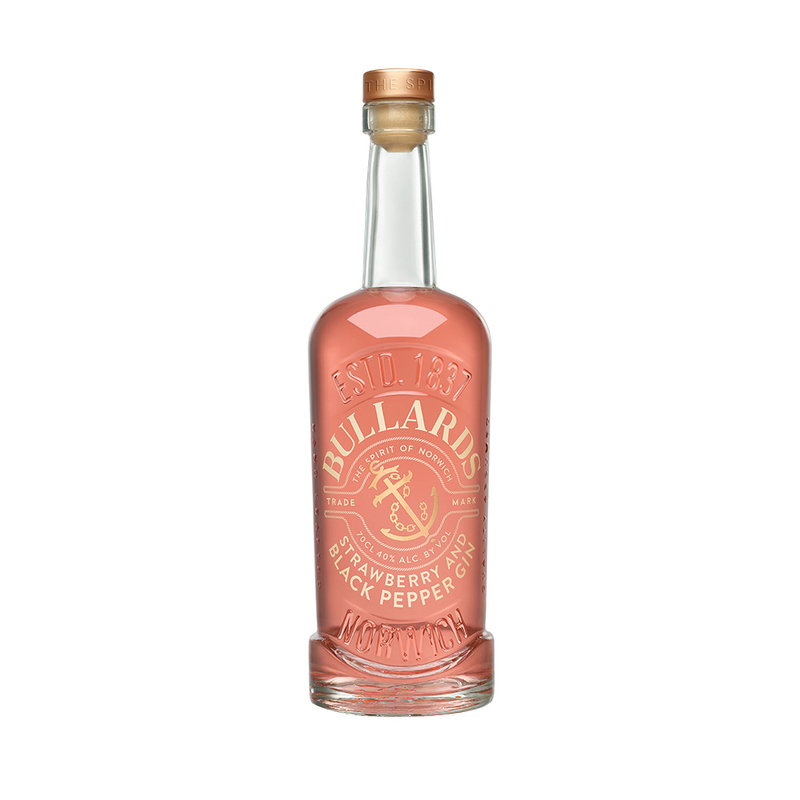 Sweet and fruity on both the nose and to taste (with just a hint of tartness) the peppery juniper is offset with the black pepper - adding a slight kick with a pleasantly dry finish. Serve with plenty of ice and either Elderflower tonic or regular tonic water and garnish with strawberry slices.